and oversees music planning for the Episcopal Liturgies of the Diocese. The Diocesan Choir for the Roman Catholic Diocese of Paterson is made up of choir members, organists, pianists, choir directors and all musicians from the Diocese of Paterson. The choir heightens selected episcopal diocesan liturgies throughout the year, including the Chrism Mass and Ordination liturgies. Additionally, the choir presents an Annual Diocesan-wide Christmas Concert. Beginning in the spring term, the choir will split rehearsal time between St. Peter the Apostle in Parsippany and St. Philip in Clifton. 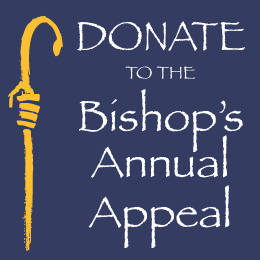 For more information, please contact Preston Dibble at pdibble@patersondiocese.org. If you are interested in becoming a member of the Diocesan Choir please fill out the online enrollment form by clicking here. All of the faithful of the Diocese, priest, layperson and religious alike are invited to Majestic Italy in February of 2017. This pilgrimage will be led by the Diocesan Choir and is open to any singer from throughout the diocese or non-singers who wish to come as pilgrims. Cities visited will include Florence, Assisi and Rome. We hope that many may be able to take part in this spiritually rewarding opportunity!